“Inevitably, there will be questions about what we are each prepared to sign up to,” said British Prime Minister David Cameron in January, in his letter to his fellow G8 leaders. For months later, Russia has made clear it clear what it wasn’t willing to sign onto: the Open Government Partnership (OGP). The most recent update on Russia is that the Kremlin will be pursuing “open government” on its own terms. Russia has withdrawn the letter of intent that it submitted on April 2012 in Brazil, at the first annual meeting of the Open Government Partnership. 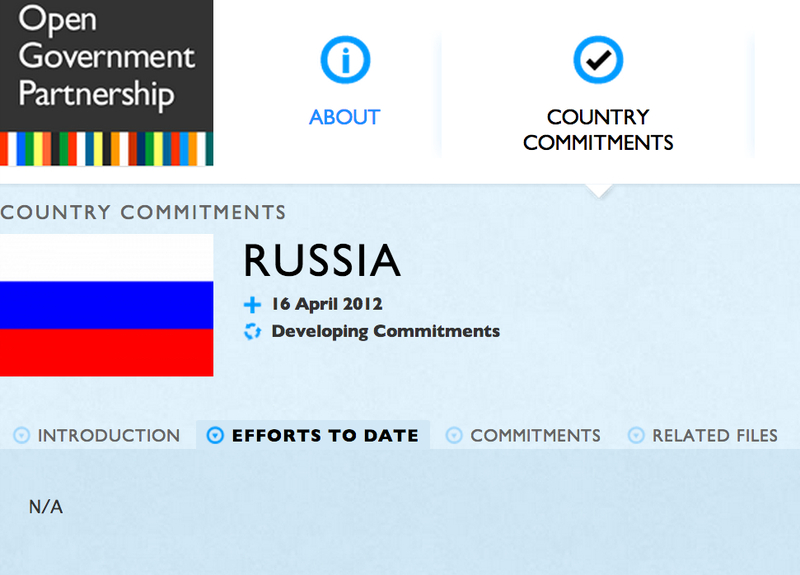 Update: On May 23, The Moscow Times reported that Russia had just “postponed” its entry into OGP. Presidential spokesman Dmitry Peskov told Russian daily newspaper Kommersant that “we are not talking about winding up plans to join, but corrections in timing and the scale of participation are possible.” Open government advocate David Eaves interprets this state of affairs to mean A) “transparency matters” and B) that “Russia may still be in OGP. Just not soon. And maybe never.” For now, Russia has withdrawn its letter of intent to join the Open Government Partnership and with that action, its commitments to transparency. OGP itself has “adjusted” its website to reflect the change, which is to say that the former page for Russia can no longer be found. So what will open government mean in the largest country in the world? Read on. If the dominant binary of the 21st century is between open and closed, Russia looks more interested in opting towards more controllable, technocratic options that involve discretionary data releases instead of an independent judiciary or freedom of assembly or the press. One of the challenges of the Open Government Partnership has always been the criteria that a country had to pass to join and then continue to be a member. Russia’s inclusion in OGP instantly raised eyebrows, doubts and fears last April, given rampant corruption in the public sector and Russia’s terrible record on press freedom. The choices of Russian Prime Minister Dimitri Medvedev, who had publicly supported joining the OGP and made open government a principle of his government, may well have been called into question by Russia’s powerful president, Vladimir Putin. Medvedev had been signaling a move towards adopting more comfortable sorts of “openness” for some time, leading up to and following Russia joining the Open Government Partnership in December 2012. Russia’s prime minister has sought to position himself as a reformer on the world stage, making a pitch at Davis for Russia being “open for business” earlier this year at the Davos economic forum. Adopting substantive open government reforms could well make a difference with respect to foreign investors concerns about corruption and governance. While the Kremlin shows few signs of loosening its iron grip on national security and defense secrets, Russia faces the same need to modernize to meet the increasing demand of its citizens for online services as every developed nation. Even if Russia may not be continue its membership in the Open Government Partnership, the Russian government’s version of “openness” may endure, at least with respect to federal, city and state IT systems. Over the winter, a version of “Open Government a la Russe” – in Cyrillic, большоеправительство or “big government” — seemed to accelerating at the national level and catching on in its capital. Maybe that will still happen, and Russion national action plan will go forward. What is more clear, however, is that the Kremlin seems much more interested the sort of “open government” that creates economic value, as opposed to sustaining independent auditors, press or civil society that’s required in functional democracies. Plutocracy and kleptrocacy doesn’t typically co-exist well open, democratic governments — or vice versa. Given that the United States efforts on open government prominently feature the pursuit of similar value in releasing government data, Russia’s focus isn’t novel. In fact, “open data” is part of more than half of the plans of the participating countries in OGP, along with e-government reforms. 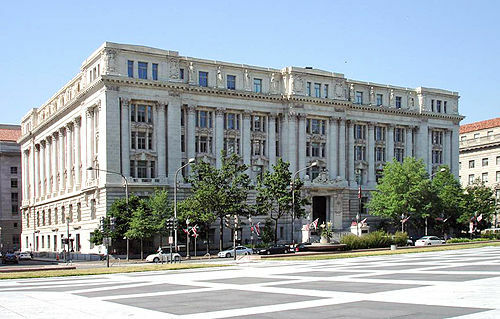 In May of 2012, a presidential declaration directed governmental bodies to open up government data. In February, Moscow launched an open data platform, at data.mos.ru, that supplied material for digital atlas of the city. Russia established an “open data council” the same month. Those steps forward could stand to benefit Russian citizens and bring some tangential benefits to transparency and accountability, if Russia and its cities can stomach the release of embarrassing data about spending, budgets or performance. While some accounts of open government in Russia highlighted the potential of Russia to tap into new opportunities for innovation afforded by connected citizenry that exist around the world, crackdowns on civil society and transparency organizations have sorely tested the Russian government’s credibility on the issue. This trial of anti-corruption blogger Alexey Navalny for corruption this spring showed how far Russia has to go. Changes in technology will undoubtedly influence Russia, as they will every country, albeit within the cultural and economic context of each. This withdrawal from OGP, however, may be a missed opportunity for civil society, at least with respect to losing a lever for reform, reduced corruption and institutions accountable to the people. Leaving the partnership suggests that Russia may be a bit scared of real transparency, or least the sort where the national government willing allows itself to be criticized by civil society and foreign non-governmental organizations. It’s something of a mixed victory for the Open Government Partnership, too: getting to be a member and stay one means something, after all. If OGP is to endure and have a meaningful impact on the world, its imprimatur has to have integrity and some weight of moral justice, based upon internationally shared norms on human rights and civil liberties. As press freedom goes, so to does open government and democracy. Given the scale of bribery and the impact of corruption on growth, Russians can only hope that more “openness” with teeth comes to their country soon.